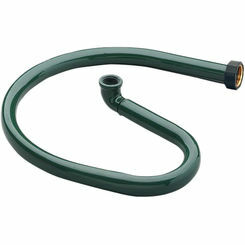 There are two ways to water the lawn with a garden hose. 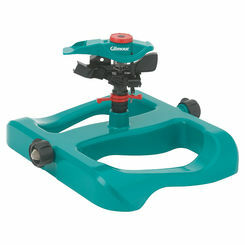 You can either manually spray or employ the use of a lawn sprinkler. With so many discount options for sprinklers, PlumbersStock continues to prove we are the best choice for landscape supplies.  Browse through a variety of products and you are certain to find the part you need. 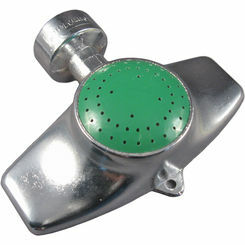 Discount lawn sprinklers are available with a variety of wholesale hoses and accessories as well. 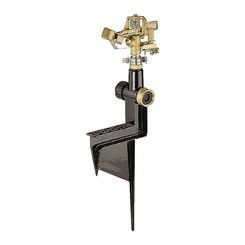 As you Scroll through our Orbit, Champion, and Thrifty sprinklers you will be certain to find exactly what you are looking for, for all your watering needs. It doesn't matter whether you have automatic sprinklers or not, a lawn sprinkler is something no homeowner should ever go without. 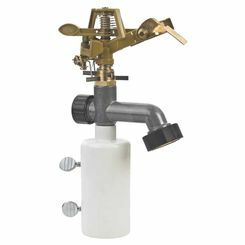 Hose sprinklers can water those hard to reach areas in your lawn that your automatic sprinklers have a hard time hitting. 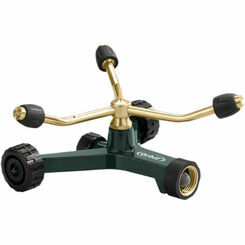 They are great for watering gardens, flowerbeds, and even trees. Garden hose sprinklers are easy to use, inexpensive to buy and can do just about anything to keep your yard looking nice. 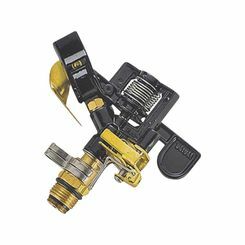 When it comes to picking out a garden hose sprinkler there are actually many options to choose from and depending on your yard, it's size and the type of landscape you will be watering, will determine what kind of sprinkler you will need to purchase. 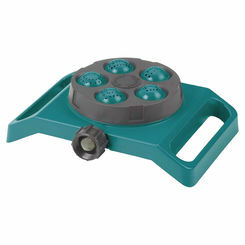 Oscillating Sprinklers - An oscillating sprinkler is a sprinkler that is either made of plastic or metal. 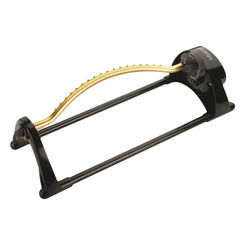 It sprays out a fan-shaped curtain of water with a metal arm that moves back and forth. 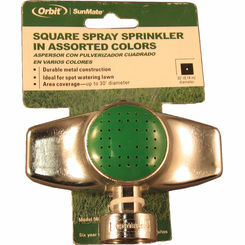 These types of sprinklers work great in rectangular yards and yards with a lot of land. They aren't as great for watering curved or rounded landscaping areas. 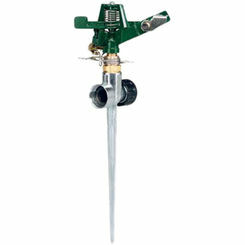 Pulsating Sprinklers - A pulsating sprinkler shoots out water horizontally with a high velocity. 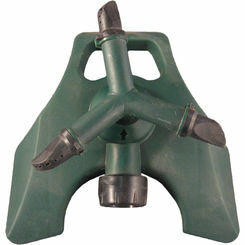 This type of hose sprinkler is not as vulnerable to wind and evaporation. 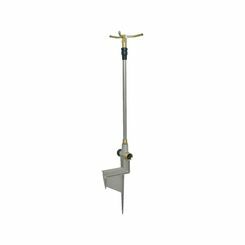 It's great for watering circular areas and irregular shaped yards. 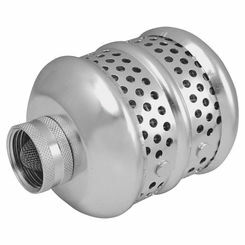 These types of sprinklers can water up to nearly 10,000 square feet at high pressure. 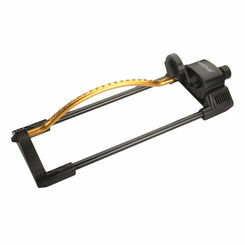 They can be set to water any size arc of a circular area and keeps water puddles to a minimum. 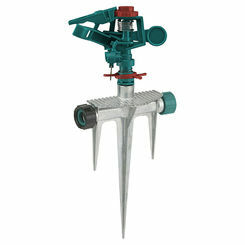 Stationary Sprinklers - A stationary sprinkler is perfect for watering smaller areas of yard and landscape. 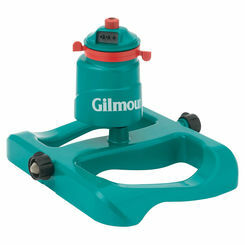 It typically only has one preset pattern, which is circular, rectangular, or square. 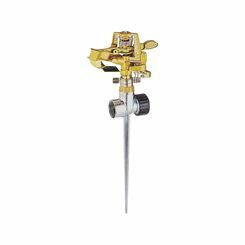 Stationary sprinklers are inexpensive to buy, work great under low pressure and have no moving parts that can easily be broken. These types of sprinklers aren't as good for larger areas of land and can puddle if left in one place for too long. Once you decide on the type of sprinkler you will need for your yard, it's then important to take the steps necessary to properly water each week. You should water your yard infrequently and deeply. You should water around 1 inch of water per week and use a rain gauge to properly measure just how much watering you are doing. 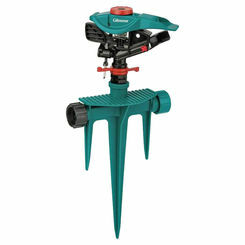 This will help you get the most out of your lawn sprinklers and keep your yard looking nice. 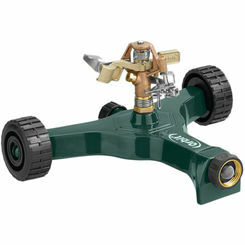 We have a large selection of sprinklers to choose from. 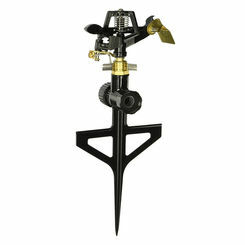 We have a sprinkler for just about any size, shape, or style of yard imaginable. 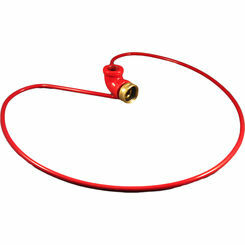 All of our garden hose sprinklers are inexpensive to buy and made with quality parts you can count on. 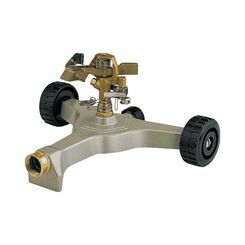 If you want to discover all the amazing things our sprinklers can do for your landscaping check out our site today to find the perfect lawn and garden products for you.